Today brings word of a new corporate communications manager for CBS New York. 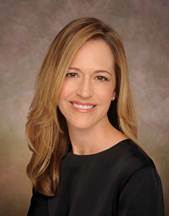 Shannon Jacobs, who has been with the CBS team since 2005 when it split from Viacom, will serve as SVP of communications and continue to report to EVP Dana McClintock. In addition to her handling of media relations for CBS TV, she will now also create and direct communications strategies across each of the company’s businesses. As manager of the company’s New York corporateteam, she’ll be responsible for everything from ad sales and research to governmental and legal affairs. Before entering corporate PR, Jacobs worked in politics, acting as press aide to Richard Gephardt and comms director/spokesperson for Oregon Rep. Earl Blumenauer. She later moved into TV after coordinating political coverage on behalf of MTV’s 1996 “Choose or Lose” campaign.